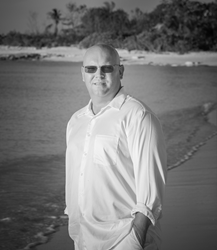 Ian Hurdle, a licensed real estate agent in the Turks and Caicos’ market, has joined the prestigious Haute Residence Real Estate Network. The Haute Residence Real Estate Network of Hauteresidence.com, affiliated with luxury lifestyle publication Haute Living, is proud to recognize Ian Hurdle as a prominent real estate professional and the network’s newest partner. Ian Hurdle, senior sales associate for Regency Ltd––the exclusive affiliate of Christie’s International Real Estate in the Turks and Caicos Islands––is widely considered to be the specialist of Caribbean curb appeal and the luxury vacation villa rental market. More than 20 years of experience of owner-managing businesses in the construction, property management, and hospitality industries gives him a unique and valuable insight when guiding investors purchasing in the Islands. Hurdle’s involvement in many of the country’s premiere resort developments, his political connections, and diverse service offerings make him the “go-to” guy for savvy buyers looking for return on investments in the Turks and Caicos Islands; be it condominium, raw land for development, luxury vacation villa, or commercial interest, Hurdle has the business experience and network to make the process a simple and enjoyable one to navigate. With 12 miles of powder white sand and stunning turquoise waters, Grace Bay beach is consistently ranked as one of the top 10 beaches in the world and has the distinction of being the number one travel destination in the Caribbean for the past three years in a row. Hurdle will help talk, walk, and work through the possibilities with you to help you claim your very own piece of paradise.